Home » Fountain Hills Blog » Communities » FireRock Country Club » FireRock Country Club – Casual but Elegant! FireRock Country Club – Casual but Elegant! 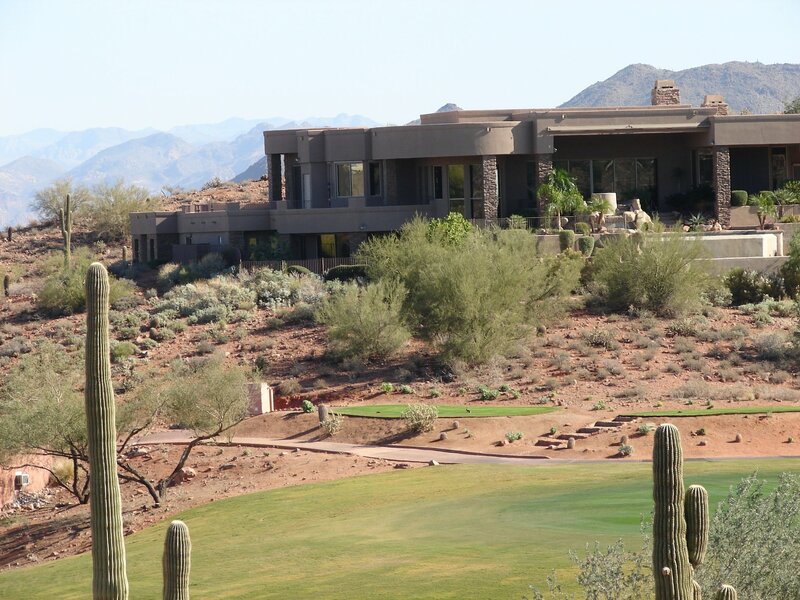 FireRock Country Club is an exclusive luxury gated community in Fountain Hills. The large homes are exquisite, nestled into the hillside and showcased on lots with breath taking views of Four Peaks, and Red Rock. The lifestyle is comfortable but elegant. The club offers a private membership that is not just reserved for the home-owners but to any resident of Fountain Hills. Whether you are enjoying an active retirement or family time FireRock has something for everyone. The FireRockers is a group of golfers that play together several times a week during the months of Oct- May. The game for the day is determined by the commissioner and records are kept, recorded and shared at the annual spring tournament and dinner. Such hi-lites of games over the last decade are low gross, most putts on a hole, hole in one, low net and much more. The entrance to FireRock Country Club is located at Shea and Fountain Hills Boulevard. You have access to full listing details, No hassles, I promise! If you have a question, don’t hesitate to call, text 480 888 6708 or email me, I’ll get back to you ASAP!